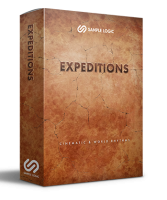 SAMPLE SOUND REVIEW: EXPEDITIONS - CINEMATIC & WORLD RHYTHMS by SAMPLE LOGIC - OUT NOW ! EXPEDITIONS - CINEMATIC & WORLD RHYTHMS by SAMPLE LOGIC - OUT NOW ! 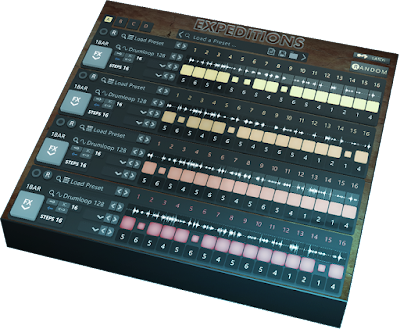 EXPEDITIONS is a dynamic rhythmic sequencing and effects engine accompanied by a top-notch collection of eclectic cinematic and world loops, perfect for all styles of music production. 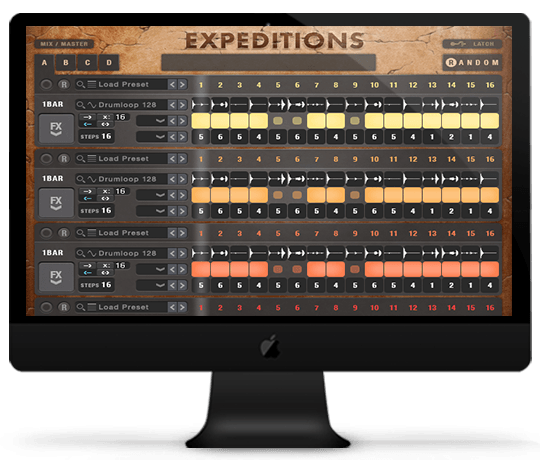 By harnessing the power and flexibility of a 4-core loop engine, EXPEDITIONS possesses limitless creativity that is sure to transport your music around the world and beyond. These diverse loops span the entire globe from Africa, Asia, Europe, to America and Latin America. Genres include Acoustic, Melodic, Synthetic, Orchestral, Hybrid, Industrial and many more. Each loop has been hand crafted from the finest recordings of live performers courtesy of months of production by the visionary Sample Logic team in collaboration with renowned producers at Black Octopus, Loopmasters, Prime Loops and ThaLoops.com. All this to bring you the utmost in sample quality, authenticity and variety. For many years Sample Logic has been collecting unique and inspiring samples from all over the globe and now they finally have a way to show them off. Presenting EXPEDITIONS…the definitive collection of essential sounds for all cinematic and world music productions. The genre-busting sources of these loops combine drum kits, orchestras, winds, reeds, percussion, pianos and synths, to name just a few of their inspirations. Paring these loops and presets with an an unparalleled audio engine that defies definition makes EXPEDITIONS the last loop player you will need for cinematic and world music productions.